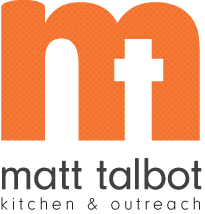 As part of National Hunger & Homelessness Awareness Week, Matt Talbot Kitchen & Outreach announces a plan to help defeat homelessness in Lincoln, Nebraska. As the weather turns colder, the goal is to find stable and permanent homes for those dealing with chronic homelessness and guide them in living fulfilling lives. With a grant from the U.S. Department of Housing and Urban Development, Matt Talbot will place chronically homeless people in permanent supportive housing through a Housing First Model-an evidenced based best practice. The grant will allow individuals and families to live in one and two-bedroom units. National Hunger & Homelessness Awareness Week (November 12-20, 2016) is held each year the week before Thanksgiving. This is a time for us all to think about what we are thankful for, to share our compassion with neighbors who are experiencing homelessness, and work toward a world where no one has to experience Hunger and Homelessness.